Malawi has been dealing with a serious economic crisis for some time. During the last few months of President Bingu wa Mutharika’s term of office, poor political and economic management, based on the myth of self sufficiency, caused international donors to withdraw and led to a scarcity of primary products such as petrol. After his unexpected death, a year ago, a renewed hope for profound and positive change was felt with the arrival of the new president Joyce Banda. Mr. Banda did in fact move towards progressive political and economic liberalization and renewed relations with traditional lenders, however, in order to satisfy the demands of the international community, whose assistance covers around 40% of the state budget, rigorous measures were adopted alongside a depreciation of the local currency, the kwacha. These measures led to galloping inflation and a significant increase in the price of imported products such as petrol, bread and rice. Locally produced goods such as corn were also affected; a 50 kg sack of corn cost 3000 kwacha (approximately 6 euro) the previous year was now being bought at 10000 kwacha (approximately 20 euro). The impact on families and on a still profoundly rural society can be imagined. In addition, the increase in prices was not accompanied with a dynamic revision of salaries. At the beginning of the year the Civil Servants Trade Union reacted by organizing various demonstrations. Strikes paralyzed the country: schools, hospitals and airports were closed. The demonstrators demanded a 65% increase on the base salary and eventually the government succumbed to this request. 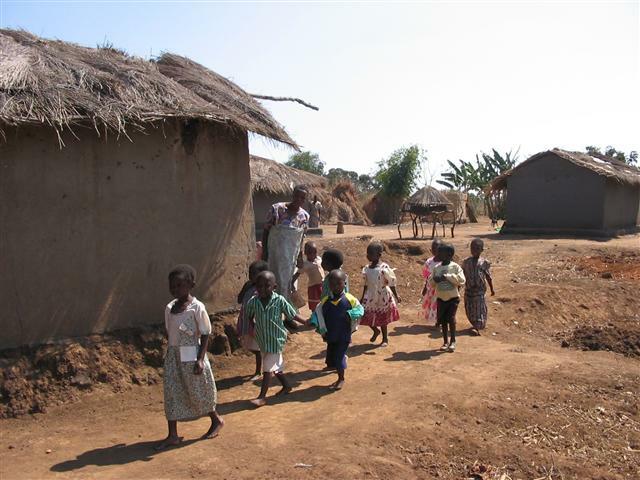 This is the difficult and quickly evolving situation in which the Community of Sant’Egidio is now operating in Malawi. As poverty and desperation increase and the initial hope placed in the leadership of the fist female president of the country becomes further disappointment, the Community is present in all of the major cities and many villages. Their effort to support the most vulnerable has intensified. In some areas of Malawi, in addition to the effects of the economic crisis, the situation became even more devastating with the heavy rains of January and February. Many homes made of mud and straw, were destroyed, as was the corn crop for the year. All of this took place during the period between Christmas and Easter, which is known in Malawi as the “time of hunger” (the old store of corn is finished and farmers await the new crop in April). In these dramatic circumstances, the community of Mangochi provided support to those who had suffered most in this district. At the beginning of March a team set off for the village of Mpinganjira, the most badly hit, to provide aid. In southern Malawi, the Schools for Peach, run by the Community of Sant’Egidio, provide both friendship and the hope for a better future. Mawira is a village close to Liwonde and near to the border with Mozambique. In this area there are many Malawians who decide to emigrate in search of labor, leaving their children with mothers, grandparents or in some cases alone to live on the streets. The Community decided to build a house in this village, which has become a symbol of hope for many children because they are no longer alone. 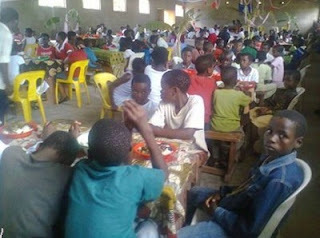 Every week, approximately 150 children visit the School for Peace. This house is no longer simply a place where instruction is offered but it has become a “tree” as described in the gospel (Mt 13,32), “the birds can rest on its branches”, a warm and welcoming home where people can find peace and a much needed new hope for the future, especially in these difficult times.